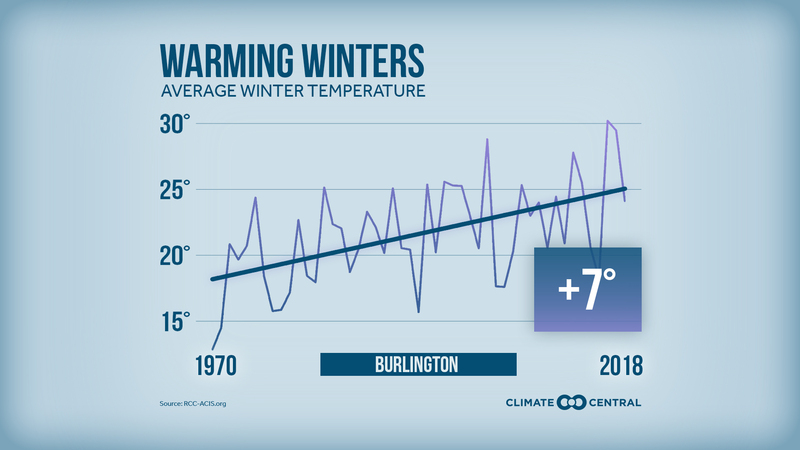 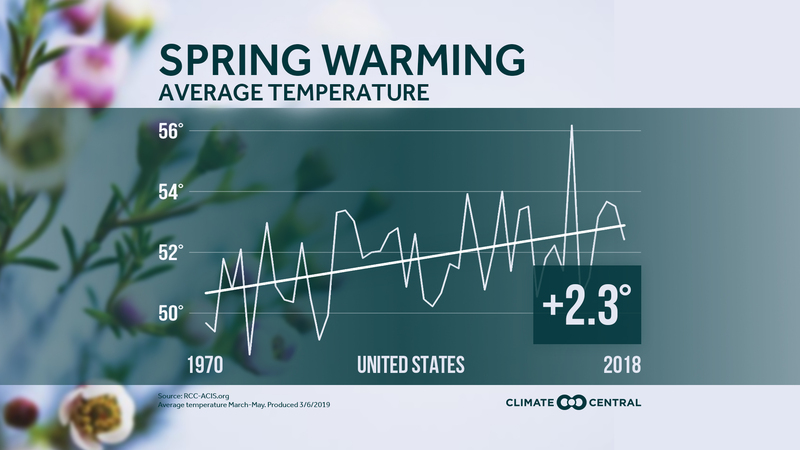 Spring Warming Across the U.S.
Spring in the U.S. has warmed more than 2°F in the last half-century — bringing earlier bouts with pollen and pests. 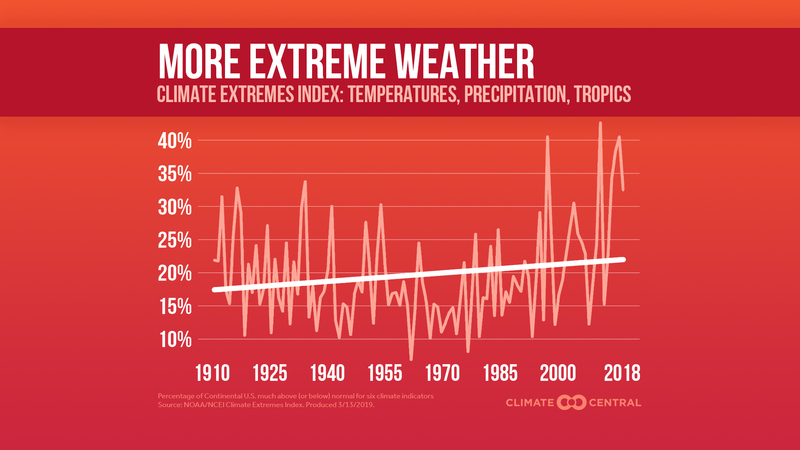 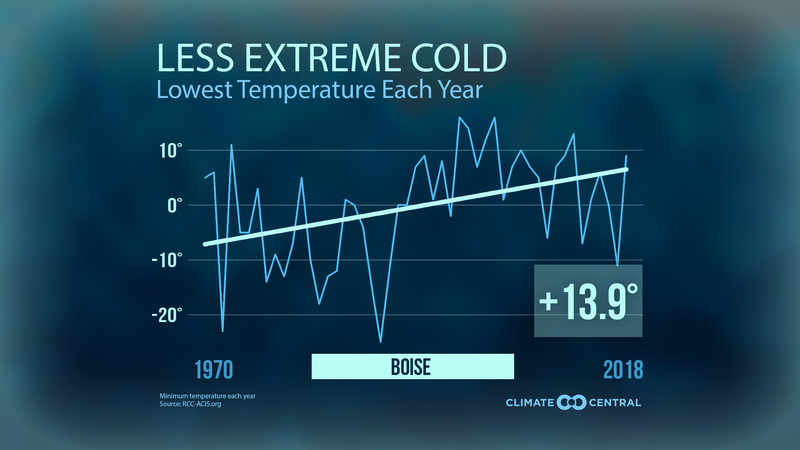 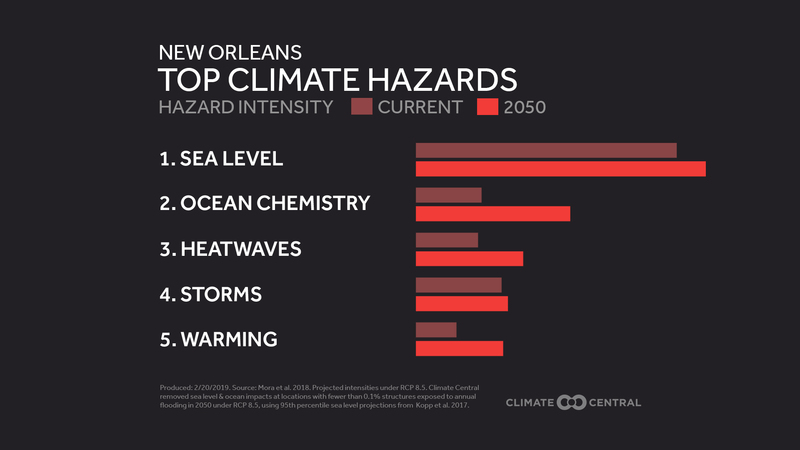 Climate change carries many hazards. 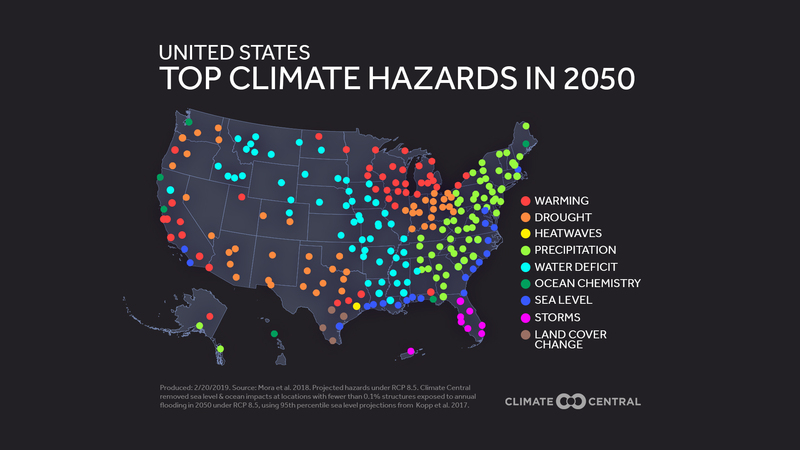 These are the dangers that could increase in the future. 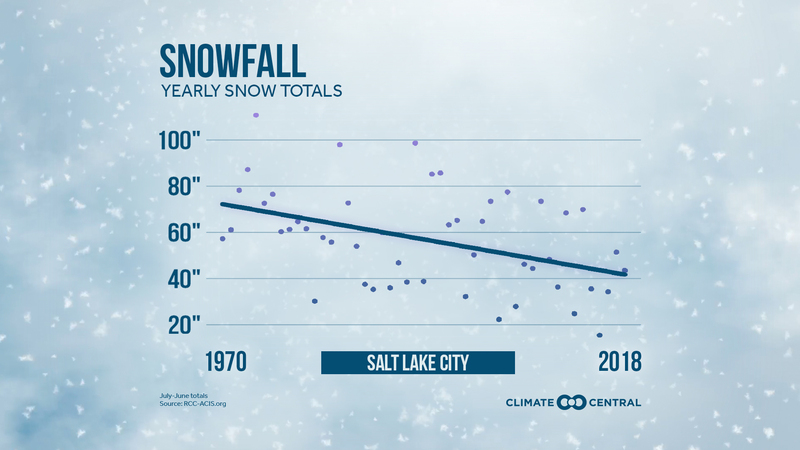 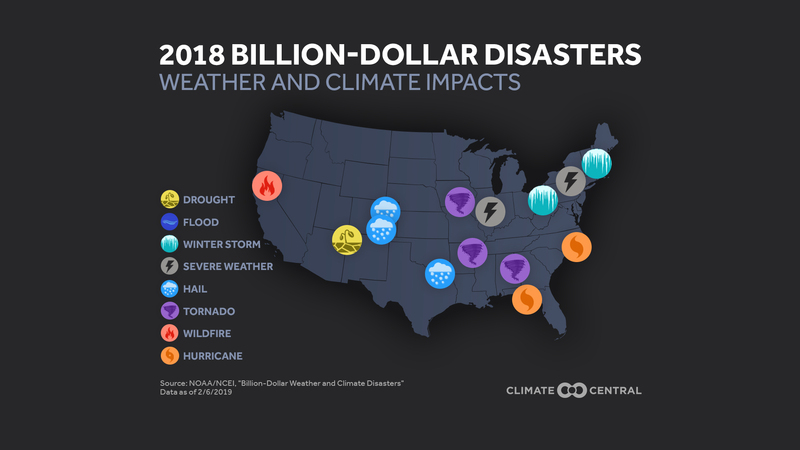 2018’s Billion-Dollar Disasters Show Weather & Climate Impacts Across the U.S.
2018 saw another near-record number of billion-dollar weather and climate disasters in the U.S.